Daily Mirror - UPFA withdraws from Govt. 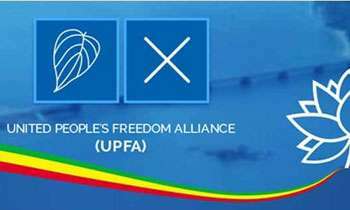 The United People’s Freedom Alliance (UPFA) today withdrew from the government, UPFA General Secretary Mahinda Amaraweera said. Finally some brains to him. Finally, the Govt will have a proper direction to run the country. Long live our Lee Kuan Yew. Sri Lanka forward. The Central Bank robbers and incompetents to the graveyard of political history forever. Now we can see what will happen when the rouges join hand with rouges. I think the clean if there are any should leave the new government or what ever they will call it. God has saved sri lanka. Long live the king. Victory for true believers jayawewa! Im happy that he sacked Ranil. But should have given PM to someone else in the party. No way a wise decision to give it to MR. Farewell SL. If RW want to be PM... hold elections and let people decide... Barking wont help. What a country ? . Filled with political greed and power . BEWARE if you see a WHITE van . Please hide for the safety of your life otherwise you are HISTORY .